The extraordinary creativity of the glass blower at our production facility has surpassed the imagination of any glass pipe smoker. 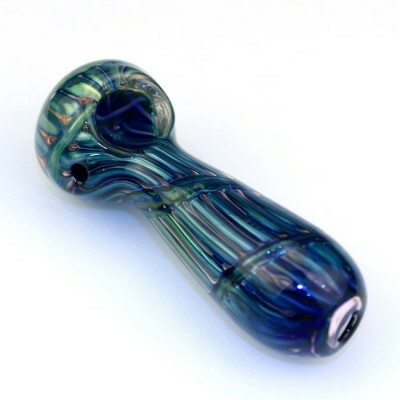 This is the ultimate glass pipe with bubble effect, blown inside out with brilliant colors. This pipe is a massive 125 grams / 4.5 inches glass pipe with a unique rectangular box shape. The glass pipe is manufactured in high quality borosilicate glass which is high heat resistant. This glass bong is the smokers' delight. Silverline Productions has been manufacturing and supplying the custom made glass pipes to the wholesalers, wholesale distributors and the retailers in the USA and all over the world.